Every professional developer who works with social media knows that it`s very important to manage your social media posts. With this ability, we can clearly understand what type of content we should posts, when we should post it and where are the weaker places of our posting plan. People who ignore social media posts managing don`t even realize what could they lose and how important could it be for their business. So, to solve these problems, we will show you the list of the most popular tools that could be used to manage social media posts. It`s only our choice, and if you know other tools that could be better, let us know. Publish and schedule content. There is also an option of auto-scheduling. Research and identify engaging content. View all aspects of engagement with multi stream view. Where are the disadvantages of Hootsuite? Social media managers must create visuals. 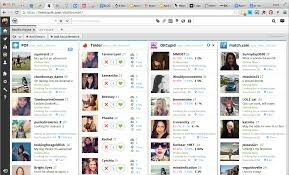 Hootsuite doesn`t offer them such option, and sometimes it could be a crucial point. With the UTM analytics option, Hootsuite synchronizes with Google Analytics. Another cool feature in this social media organizer is the bulk publisher tab. It gives you a calendar view of scheduled updates. With all these points we can say that Hootsuite is one of the best social media posting tool. If you know something about social media posting, you nay hear about Post Planner. Originally, it was an extra application optimized only for Facebook.it helped brands deliver the most relevant content to their communities. Today, Post Planner is a tool that could find, plan and perform posting your content to Facebook and Twitter. There`s also a light Instagram and Pinterest integration. You can perform a competitive analysis by searching audience-tested content from other Facebook, Twitter and Instagram accounts. You can find suggested status update ideas (more then 15 000 in total). 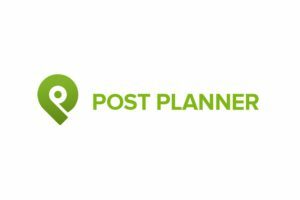 Where are the weaker places of Post Planner? This tool doesn`t allow for engaging with users or being able to follow a stream from within the platform. However, we don`t think that this is a huge minus for such tool. Buffer is a tool with simple design and ability to make scheduling, posting and collaborating process. The key word for the right description of this program is simplicity. We see that like Post Planner, Buffer can`t give us an ability to connect with Instagram, and it`s the advantage of Hootsuite in front of them. However, Buffer offers a branded visual solution with Pablo. But it`s not nearly as robust as the Canva integration within Post Planner. To work well with Pablo, the social media manager needs to know what size images work best for each platform. Buffer`s interface is clean, simple and understand at a glance. Again, we can see the thing – simplicity is a very strong point. If you are interested in managing Pinterest – Tailwind is the perfect tool for social media managers. 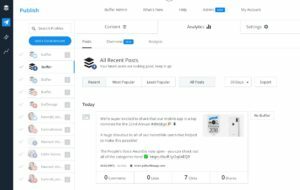 Like Post Planner, Tailwind gives you an ability to “spy” on your competition and see trending content. With Tailwind, you can also identify influencers. You can use that data to target your content. The Tailwind dashboard makes it easy to interpret your Pinterest data. You can see all info about followers, likes and dislikes and even trends on pinning habits. That is our list of best four social media posting tools. They all are powerful and multifunctional, which gives you an ability to complete a huge amounts of work.